The Massapequa Fire Department operated on the scene of their second working fire of 2018 early on the afternoon of Saturday, January 6th, 2018. The fire was located at 150 St. Marks Place off Ocean Avenue. The main body of fire was in the crawl space of the home. Two hand lines were stretched with one going into operation off first due Massapequa Engine 6311. 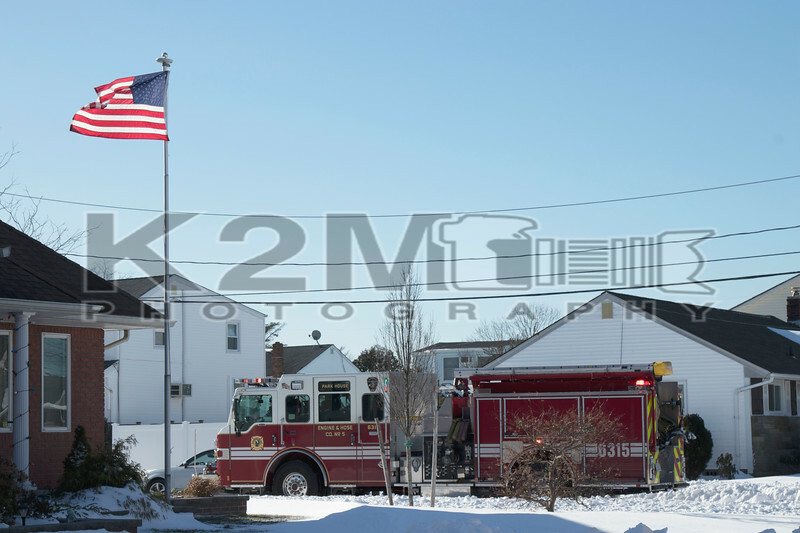 Seaford was designated the FAST for the operation and responded to the scene with Ladder 683. Firefighters made a quick knockdown of the fire and there were no reported injuries. The cause of the fire is under investigation. Click here to see the rest of the images from K2M Photography’s gallery, St. Marks Place [1-6-18].